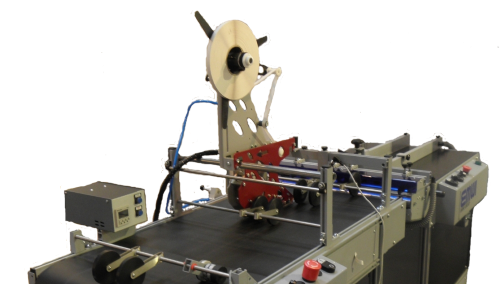 The EMWI FF-Tape or SFF-Tape Systems are complete industrial feeding and tape application systems for the bi-adhesive tape and tear strips (option) on envelopes, open boxes, glued boxes, cardboards, tickets, plastic cards, leaflets and so on. 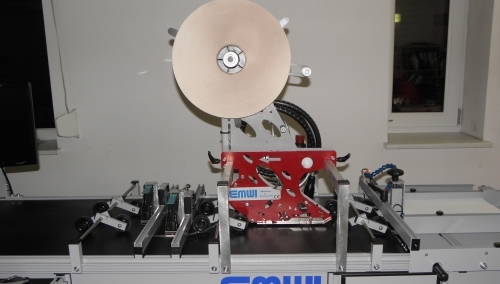 They can use our RB normal rubber or VB total vacuum belt conveyors for transporting the objects. They can be used in-line together with our Xaar and HP inkjet printers. Standard Tickets, Envelopes, Plastic Cards feeding and tape application. Closed and open cardboards, irregular shape objects feeding and tape application. 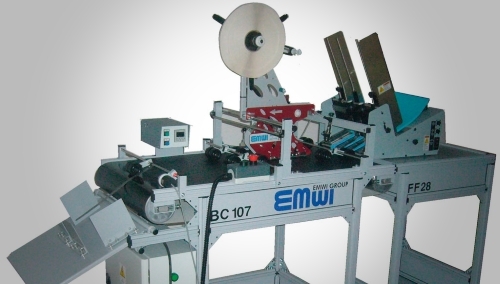 Reviews, standard and folded leaflets feeding and tape application.